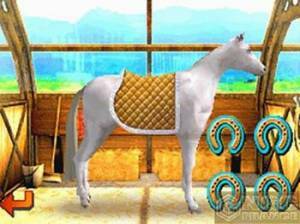 A 3-D MMO horse ranch simulation game that includes training, breeding, and building your own ranch by placing a variety of objects over an initial 10 square kilometers. You can participate in horse competitions against other players to earn ingame money. Players can form clubs that allow them to cooperatively pursue goals and share horses if desired.